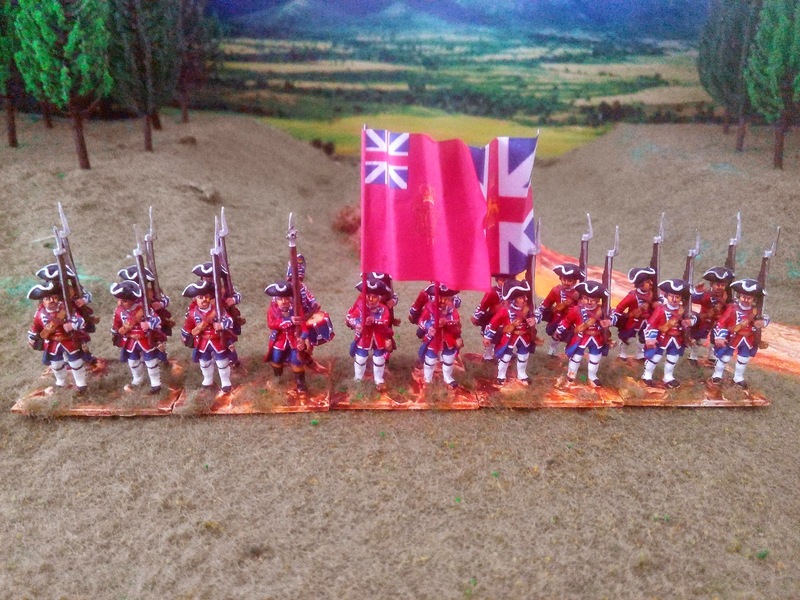 To counterbalance the recently-painted seven French battalions, here are some elite British reinforcements. 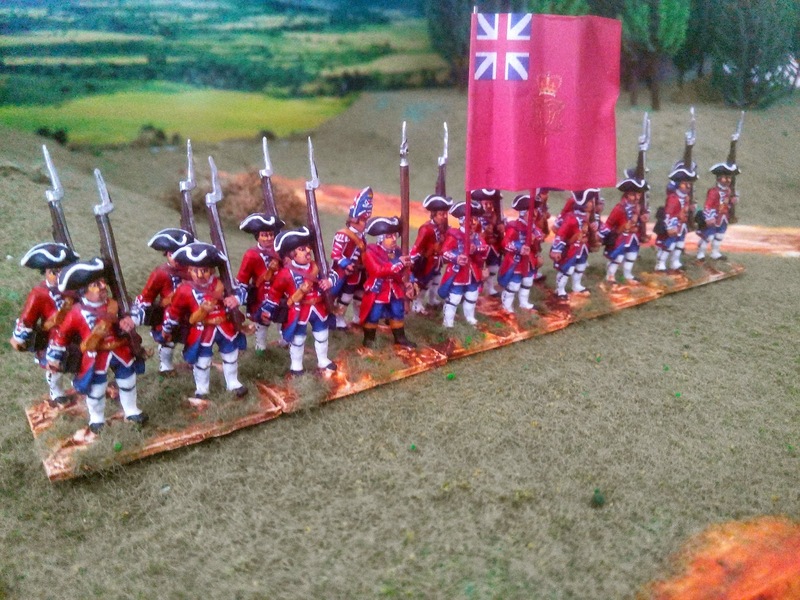 In the Summer of 1760, the 2nd Battalion of the 1st Regiment of Foot Guards was sent to Germany to reinforce the Allied army of Ferdinand of Brunswick. On August 25, it arrived at Ferdinand's headquarters near Bühne in Germany. It was immediately integrated into Ferdinand's Reserve deployed along the Diemel and for the rest of the war was involved in every large engagement. I have chosen the Lieutenant Colonel's colour (all scarlet) as the Leibstandarte.